Known for their sartorial elegance alongside their old school country ballads and barroom heartbreakers My Darling Clementine are one of the best bands the UK has offered the world in a good while. Witty, charming and utterly engaging their stage show, and one hopes it is a show, as the two protagonists, Michael Weston King and Lou Dalgleish are married in real life – owing as much to the traditions of Carry On as it does Tammy and George. Their latest album ‘Still Testifying’ is out now on Continental Song City, and it’s doubtful you’ll hear finer. I get the feeling you often look back for inspiration, is there anything in modern music you like? LD – Having an eleven year old daughter means that most of the car journeys are spent listening to UK’s Capital Radio! So I probably know a lot more modern music than I’d admit to. Before the car journey ends I’ve usually asked “who’s this?” a dozen times and tutted endlessly, pointing out which original track the samples have been stolen from. Having said that, you can’t beat a bit of Jess Glynne. MWK – It depends what you mean by “modern”. 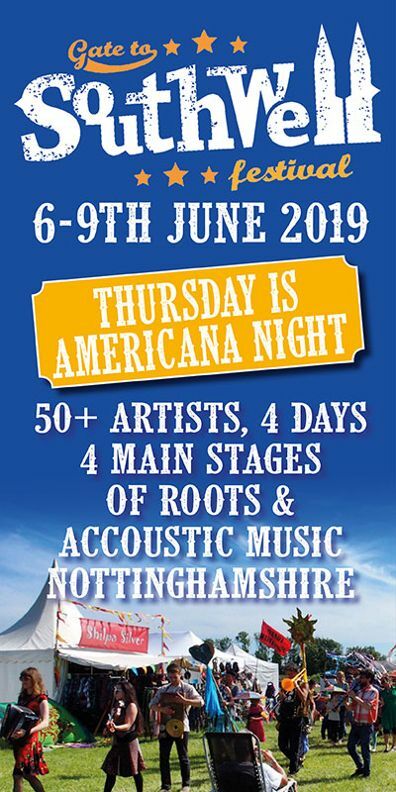 I have enjoyed a lot of recent albums by contemporaries and some of my favoured established artists (Robbie Fulks, Nick Cave, Father John Misty, Jenny Lewis, Jim Lauderdale, Randy Newman) but there is not a lot new in “country / Americana” that has me excited. So many of the “Americana artists” who have made their first few albums over the past few years, are just not doing it for me at all. No matter what John Prine says! I feel like I have heard it all before. 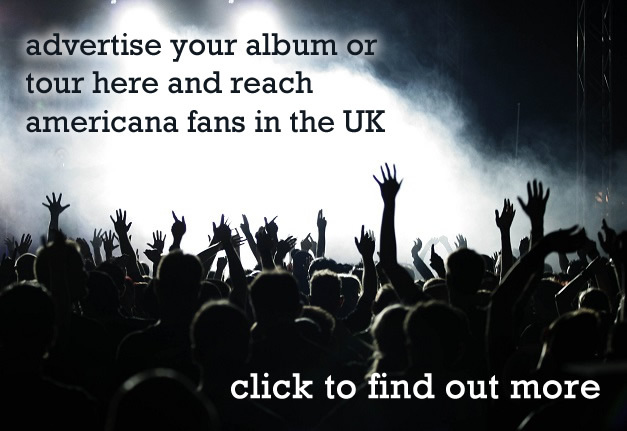 I have been listing to this stuff for 30 years and no-one from the current crop is matching those early albums by The Jayhawks, Son Volt, Joe Henry, Lucinda, Gillian Welch, or before that the likes of Green on Road, The Bodeans, The True Believers etc. Though I know is sounding like an old man saying “it was better in my day” But… it was! Hopefully I have missed out on a few new things from the past year or 2 that will discover soon to change my mind. The last album I really fell in love with, that is relatively “new” was Coalfax Avenue by The Delines. 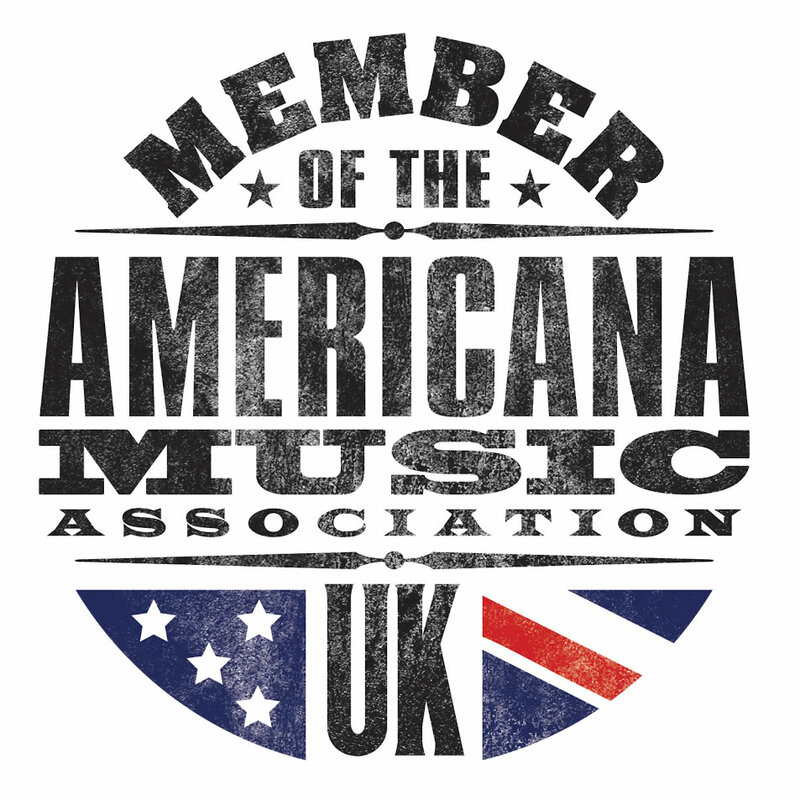 I am much preferring the “Americana” that is coming out of the UK, either by us Brits, or overseas artists who live here. To my ears they are more imaginative, more melodic and with a much higher lyrical content. FYI – the last few albums I bought were Nilsson sings Newman, The Big Beat – The Dave Bartholomew Songbook , and a couple of audio books. New ones from this year, Father John Misty, The Western Centuries and Joan Shelley. Bits of the record are wonderfully 70’s – there are some Andy Williams style flourishes – one can presume that’s deliberate? LD – I’m hoping you’re referring to my requested “Puppy Love” string part in “Just a Woman”…!? (A favourite moment in my important Donny Osmond years). Violinist Bob Loveday was certainly put through his paces as Neil (Brockbank) and I asked him to try this and try that. Luckily he was all too happy to channel the love of Mr Williams. And when Neil and Michael worked with the brass guys, Mr. Bacharach seemed to emerge too. MWK – I kept mentioning the name Ray Conniff but it fell on deaf ears. Google him kids. I didn’t really notice the Andy Williams thing but nice you mention it. The credit, or blame, for that must go to Lou and Neil. I must admit, I love it. You work so well as a duo, but you separate artists previously is that part of your life completely dead now? Do you still write stuff that you realise is for the duo? LD – Although we are a duo now, we still write separately so there are many songs that can work as solo songs too. Just because together we are “My Darling Clementine” doesn’t mean that we are no longer individual artists. Michael still does some solo tours (when I let him go!!) and I do the occasional show on my own. But life is so busy there isn’t time to focus on too many different concepts. Especially as we have not written our divorce album yet! MWK – That part of our life is not dead by any means. And yes we do still write right individually. As Lou says, I did a 25 date solo tour of Scandinavia and northern Europe last year, and also self-released a 13 songs collection called ‘Handpicked’. I have a bunch of finished songs and some close to being finished ready for / when / if I make another solo album. Lou has also just recorded a vocal for a named songwriter on a brilliant song which sounds like a cross between Dusty Springfield and Amy Winehouse. It is a potential hit in waiting. And then no doubt she will leave me! You’re often ‘sharp’ with each other on stage and whilst its in jest, is that a reflection of your home life? Are you usingsongwritingg as a way to air petty grievances? LD -We enjoy having fun with the concept of husband and wife on stage. Who needs to see another lovey-dovey couple cherishing each other!? We are all about the realities of married life. Our songs reflect the ups and downs, and therefore so do our personas on stage. The relationship between two people who love eachother is going to include other, darker emotions. We like to have fun with this concept on stage. Our songs are sometimes about other people, sometimes about us. The reality and the fantasy sometimes gets blurred though! But if you look carefully you’ll spot the occasional love song to each other. You’ve had terrific success with MDC in loads of other countries, must feel good? How does your humour translate? LD – There is a running joke between us that when we are touring other countries, no one finds me funny, whereas Michael makes the audiences laugh out loud. (I must work on that!) We are always humbled and slightly ashamed at how we assume an audience will understand us as we ramble on in our own language. We don’t think anyone has misunderstood our “on stage banter” as real marital problems. But then again, who knows where the joke ends and the truth starts. I’m not sure I always do! It certainly does feel good that there are My Darling Clementine fans in so many countries. Even in the US, the home of country music. I do think, as well as the music, our Britishness, particularly our British humour, might be part of the appeal. You have a child – so how do you switch of the band and do family? LD & MWK – There’s no switching off required. Our daughter is usually on the road with us. And as she has developed into an amazing musician herself, she’s quite often on stage with us. She’s even in the studio with us when recording. In fact she is featured a lot on “Still Testifying” as the producer realised she had skills worthy of inclusion. This makes me really proud of course! When we aren’t on the road we have plenty of family time so we all get a good balance I think. The show is a full experience, and you have a good set of stage duds, well Michael does, I can’t comment on Lou – gigging in a bri-nylon house coat can’t be easy? Where could a dapper man get a tweed safari suit? Is it a one-man crusade to bring it back? LD – Well I can’t speak for Michael but my stage wardrobe is a homage to the ladies who suffered the realities of man made fibres: On the one hand such easy, comfortable, moveable fabric that washes like a dream and drips dry in minutes. On the other, a sticky, hot, unbreathable cloth that keeps you in a permanent sweat. But if it was good enough for Tammy…..
MWK – Boy, a tweed safari suit, surely that is a contradiction in terms. The American name for them is a leisure suit, or “leeesure suit”. I do love tweed but maybe not ‘all over”. Funny thing is, I only wore the safari suit for the first album yet that image seems to have stuck. I do like a good suit though, whether it be safari or not. My more recent look was accidentally modelled on the character Hazel Motes from the film Wise Blood I wasn’t really aware I was sporting that look until the journalist and your colleague Paul Kerr pointed it out. I then took it a step further with another suit I bought last year in a vintage shop in Troy, New York. The one that is on the album cover. Take a look also at the book in my hand. If any one reading this has not read Flannery O’Connor’s book, Wise Blood, I urge you to do so. The record has some interesting instrumentation, is there some clarinet? It’s not an instrument that hear often? LD – The new songs and new sounds were crying out for brass and woodwind. We were delighted to have Nick Pentelow include clarinet in this. Our daughter provided some beautiful recorder parts too. The instrumentation has been a departure from the pure classic country of our first album, as we’ve naturally developed in this more soulful direction. MWK – I am not really a fan of the clarinet so again I must credit producer Neil Brockbank, and horn arranger Matt Radford with its use on the album. I LOVE what Nick Pentelow does with it here on Eugene and Two Lane Texaco. He brings a real New Orleans blues and jazz vibe to the songs. Nick is such a fine player. Pop trivia fact – he also played on all those early hits with Wizzard! It was an easy album to write? LD – As songwriters we just write what we write. There’s no one telling us what kind of song or what type of subject. Therefore it’s never difficult to provide the material WE want. There’s sometimes a glitch or a blockage that we work through (usually together) to hone a finished song, but it’s in the studio where it can become tricky making endless decisions, edits and changes within the production . But that is more of a luxury than a problem. Luckily we had the fabulous Neil Brockbank to steer us through it all. MWK – I tend to write, or jot things done all the time, (though admittedly I am having rather fallow period at the moment). I don’t sit down and think “we need songs for the next album, I had better start writing” I just write and then when it is time to record, I go see what I have in the bag. The Lou comes along with her songs and just blows me away. The last record, with Mark Billingham, included some spoken word would you re-visit that? LD – It was a joy to take a diversion like that. And a privilege that Mark had written a story based around our (already existing) songs. Although we wrote another couple of tracks to complete that album, it was by and large a “spin off” project. I loved having an opportunity to perform spoken word and collaborate with an author. It’s definitely something I’d like us to do again at some point. MWK – yes, so would I. Though starting from scratch if there has to be a next time, with a new story and new songs. I think these things though are called “musicals”?? Urgh! This album has another retort song, a song that finishes off another – you like doing these? LOU – Yes I really like doing this. I’m fascinated by those iconic classic country songs that EVERYONE knows whether they like it or not. And of course the fact that they are from a purely female perspective. Who knows what Tammy was really thinking when she sang a song telling us to always ‘stand by a man’, regardless? And who knows what really happened to Dolly’s Jolene? I figured I could make up my own stories. MWK – That tends to be Lou’s particular niche, and she is very good at it. I wrote a song on the first album called Going Back To Memphis which was a nod to Tom T. Hall and his song “That’s How I Got To Memphis” but it was not a follow up song. Maybe I’ll write a retort to one of Lou”s songs for the next album! My Darling Clementine play Glasgow Americana Festival on October 8th; The Met Lounge, Peterborough October 12th; Fillongley Hall, Coventry on October 13th.